From the same director who brought us Citizen Kane comes another kind of cinematic hero (of sorts). Michael O'Hara, like the deeply flawed Kane, is flawlessly played by his creator Orson Welles. Unlike Citizen Kane however, this film fell under its producer Harry Cohn's butchery with considerable footage lost and destroyed forever. Nevertheless, what survives is vastly entertaining and not to be missed. The Lady from Shanghai was previously recommended here and will arrive at TCM Sunday, June 3 at 5:15am PST. 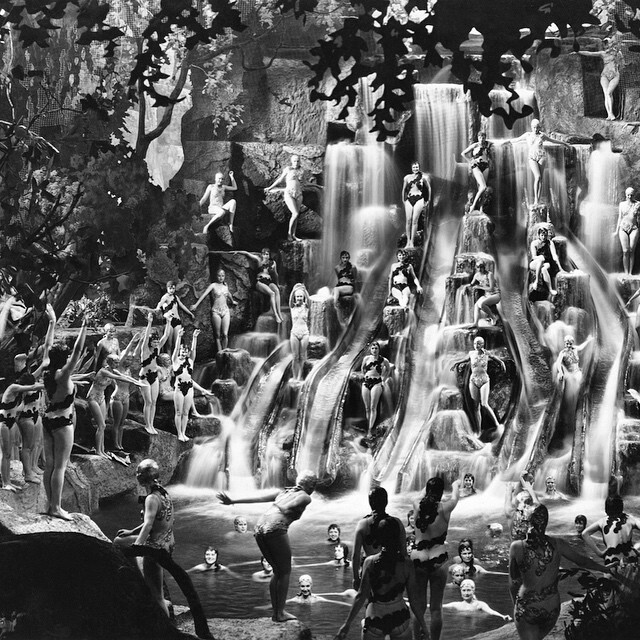 TCM is presenting two of Busby Berkeley's most lavish musicals this month. First is Footlight Parade a previous TCM recommendation here. The show will go on Tuesday, June 5 at 4:30am PST. Later on Tuesday is Gold Diggers of 1933, a brilliant extravaganza of romance, comedy, catchy tunes and outrageous pre-code show numbers especially 'Pettin' in the Park' with its saucy sexual undertones that even Freud would have struggled to explain. This is another previous recommendation here. The fun will begin Tuesday, June 5 at 8:45pm PST. 1967's Hotel was taken, like 1970's Airport, from a novel by Arthur Hailey and is the far better crafted of the two films. This proficient and underrated motion picture was previously reviewed here. Hotel will open its doors Friday, June 8 at 2:45pm PST. When affairs of the heart are so well integrated with thoughts of murder as they are in the Humphrey Bogart starrer Conflict, we have the makings of an exceptional film noir. This is because the emotional cause behind the former infuses motive into the latter and thus absorbs the viewer on a deeper level. 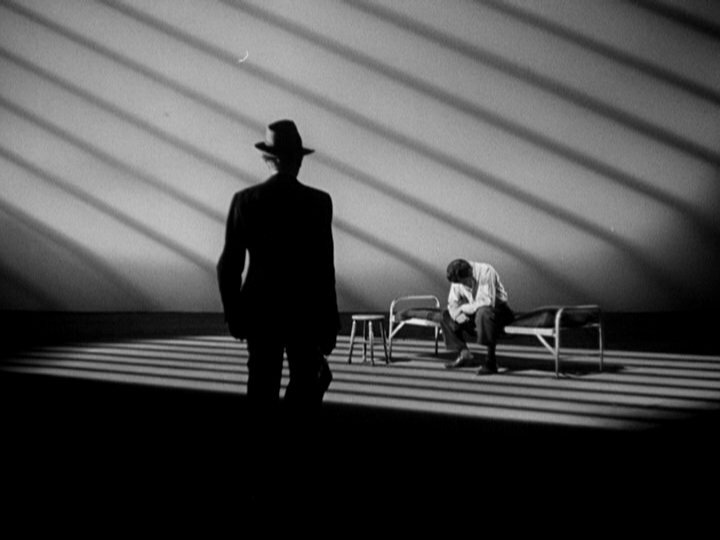 Besides, adding a greater sense of "why" people are driven to extreme acts of criminal activity is what the best of film noir is all about. Conflict, previously reviewed here, is the next film in Eddie Muller's Noir Alley and will reveal itself Saturday, June 9 at 9pm PST and again on Sunday, June 10 at 7am PST. "Complaining about the far-fetched circumstances in films noir is like objecting to the lack of realism in a Picasso painting. What I mean is that lovers of these criminally rich cinematic delights oughtn’t to bother picking out the implausibilities, since it is practically a hallmark of noir's style." I've written this before when introducing Split Second, a film noir that presented some rather unlikely occurring situations and it certainly applies to my next recommendation as well, another starring Humphrey Bogart: Dark Passage. This wildly engrossing yarn combines the best of romance with the best of noir in the best location for both: San Francisco. Previously endorsed as a Blu-Ray release here, Bogart will make his dark passage on TCM Friday, June 15 at 3pm PST. MGM's 1952 musical Singin' in the Rain was not adapted from a stage production, though the film was later turned into one, being first presented on stage in 1983. Its abundant creativity, innovation and driving energy place this film at the top of all cinematic musicals ever produced. Singin' in the Rain has been reviewed as a past Blu-ray selection here and will joyously dance its way onto TCM Tuesday, June 19 at 5pm PST. Another of MGM's musicals worth checking out is Guys and Dolls, previously reviewed here. They will all arrive at TCM Thursday, June 21 at 2:30pm PST. Also worth seeing is Alfred Hitchcock's dazzling thriller, Foreign Correspondent, previously reviewed here, whose precarious globe trotting assignment will begin Saturday, June 23 at 9am PST. Many of the films first listed as "Hidden Gems" are not so hidden anymore thanks to those companies releasing them on DVD and Blu-ray in addition to their regular showings on TCM. One of these is Hidden Gem #59, The Hill, an intense dramatic achievement. I've previously reviewed this film here. The Hill can be marvelled at on TCM Monday, June 25 at 1:15pm PST. Facing us (from left to right): Jack Watson, Ossie Davis, Sean Connery, Alfred Lynch, Roy Kinnear. Facing them is Ian Hendry. Many experts have claimed that this last TCM recommendation is the first identifiable film noir: Boris Ingster's 1940 Stranger on the Third Floor. Viewers can glean just how many of noir's stylish traits are inherent in this film by reading my previous TCM recommendation here. If you're a noir fan and have never seen this little RKO gem, be a stranger no more Friday, June 29 at 10:45am PST. This month's Happy Birthday shout-out goes to the talented composer James Newton Howard, who turns 67 on June 9th. He's invigorated some notable films with his skilful compositions including The Package, Flatliners (1990), The Man in the Moon, Alive, Dave, The Fugitive, Wyatt Earp, My Best Friend's Wedding, The Devil's Advocate, The Sixth Sense, Vertical Limit, Signs, Hidalgo, The Dark Knight, The Hunger Games and The Bourne Legacy and given us soundtrack enthusiasts endless hours of pleasurable "stand alone" listening experience. 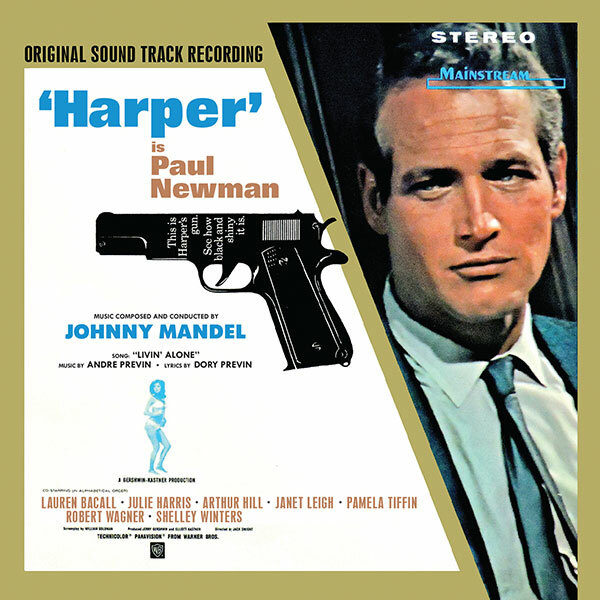 June's Soundtrack recommendation is Harper composed by Johnny Mandel. This long awaited jazzy and thematically rich score is newly available on CD from Intrada Records. Mastered from tapes used for the original LP, the results are a stereo presentation of outstanding audio quality. For more information including ordering, click on the album image. This month's Blu-ray selection is the prior TCM recommendation Foreign Correspondent. This, along with all of the titles on the Criterion label (North America Region A) is currently available (from June 29, 2018 for approximately 30 days) at a whopping 50% off at Barnes & Noble stores. Alternatively, one can order this title from the distributor by clicking on the accompanying image.